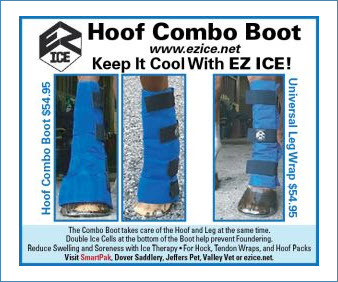 Distribution includes: AETA Trade Show, PA; Atlanta Winter Classic, GA; Chagrin Valley Farm, OH; Coverage in Wellington, Florida; *HITS Ocala, FL; *Houston Dressage, TX; LA Winter Dressage, CA; Ledges Winter, IL; *Old Salem Farm, NY; *Triangle Farm, NC; and many more. Distribution includes; Country Heir Horse Show, OH; *Gold Coast, CA; *Great Southwest Winter Series, TX; *HITS in Florida, Arizona, California and Florida; *Old Salem, NY; *Palm Beach Masters World Cup, FL; Progressive Show Jumping, SC; *The Ridge at Wellington, FL; Triangle Farms, NC; Venice Equestrian Tour, FL; World Equestrian Winter Classic, OH; and many more. Distribution includes: *Atlanta Spring Classic, GA; *Blenheim Spring Classic, CA; *Central California CA; *Dressage Classic, TX; Fox Lea Farm, FL; *Gulf Coast Classic, MS; *HITS in Arizona, California and Florida; *Pin Oak Charity, TX; *Santa Barbara Sunshine Classic, CA; *The Ridge at Wellington, FL; World Equestrian Winter Classic, OH; and many more. 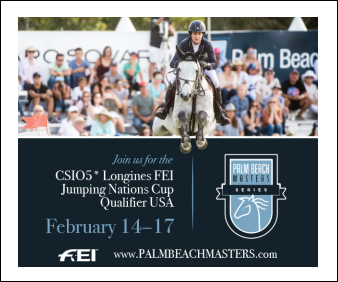 Distribution includes: Flintridge Horse Show, CA; Camden Spring Classic, SC; Fox Lea, FL; *HITS Culpeper, VA; *Jacksonville Spring, FL; *LA Equestrian Festival, CA; *National Reining Breeders Classic, TX; *The Kentucky Three-Day Event, KY; World Equestrian Winter Classic, OH; and many more. 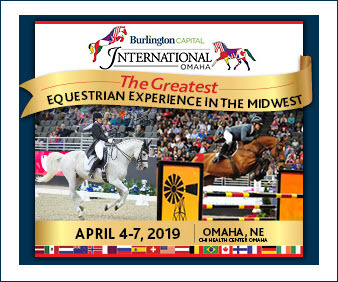 Distribution includes: *Central California Memorial Day Classic, CA; *Devon Horse Show, PA; *Fiesta Classic USEF National, TX; *HITS on the Hudson, NY; Jersey Fresh, NJ; Kentucky Spring Horse Shows, KY; *Old Salem, NY; Spring Classic Series, IL; *Triangle Farms, NC; and many more. Distribution includes: *Atlanta Summer Classic, GA; *Bay Area Summer Festival, CA; *Blenheim June Classic, CA; Fox Lea Farm, FL; *Golden Gate Classic, CA; *HITS, IL; *HITS on the Hudson, NY; *Houston Dressage Socity, TX; *Lake Placid, NY; *Old Salem Horse Show, NY; *Princeton Show Jumping, NJ; and many more. Distribution includes: Brownland Farm Summer, TN; *Charleston Summer Classic, SC; Delaware Valley Horsemen’s, NJ; *GHHJA Classic Show, TX; *Gold Coast July, CA; *Great Lakes Equestrian Festival, MI; Great Meadow International Eventing, VA; *HITS in Culpeper, VA, and Crete, IL and HITS on the Hudson, NY; *Princeton Show Jumping, NJ; *The Ridge at Riverview, NJ; *Vermont Summer Festival, VT; and many more. Distribution includes: Aiken Highfields, SC; *Blenheim Summer Classic, CA; Fox Lea Farm, FL; GHHJA, TX; *Great Lakes Equestrian Festival, MI; Great Meadow Shows, VA; *HITS Culpeper and Crete, IL; *Houston Dressage; TX; *Menlo Charity Horse Show, CA; *Princeton Show Jumping, NJ; *Showpark Summer Classic, CA; *The Hampton Classic, NY; *USEF Pony Finals, KY; *Vermont Summer Festival, VT; World Equestrian Summer Series, OH; and many more. Distribution includes: *American Gold Cup, NY; *Blenheim Fall Tournament, CA; Brownland Farm, TN; *Colorado Fall Classic, CO; *Devon Horse Show, PA; *Dressage at Devon, PA; Great American Insurance, CA and NY; Great Meadows, VA; *HITS in Culpeper, VA, and Crete, IL and HITS on the Hudson, NY; *Southwest Showdown USEF National, TX: *The Ridge at Riverview, NJ; Tinicum Polo Club, PA; and many more. Distribution includes: *Britannia Farm USEF National, TX; Brownland Farm Autumn Classic, TN; *Del Mar International Horse Show, CA; *Fair Hill International CCI, MD; Fox Lea Farm, FL; *PA National Horse Show, PA; *Princeton Show Jumping, NJ; *Verduga Hills, CA; *Washington International Horse Show, Washington, D.C.; and many more. Distribution includes: Aiken Highfields, SC; *Atlanta Fall Classic, GA; *Central California Fall Classic, CA; Great Meadows, VA; *Harvest USEF Premier, TX; * HITS, Thermal, CA; *Los Angeles Season Finale, CA; *The Las Vegas National, NV; *National Horse Show, KY; *Triangle Farm, NC; and many more. Distribution includes: *Fox Lea Farm, FL; *HITS Ocala, FL; *Triangle Farms, NC; and many more. ** All horseshows receive boxes of Sidelines which are distributed free throughout the show grounds — giving advertisers a bonus as horse show participants plus subscribers have access to read and view ads. 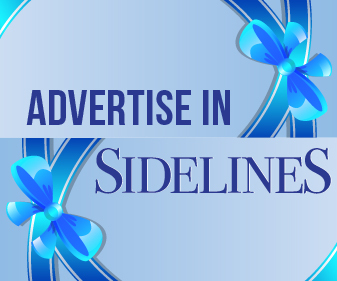 Sidelines is also distributed throughout Tryon, NC, and Wellington, FL, all year long. 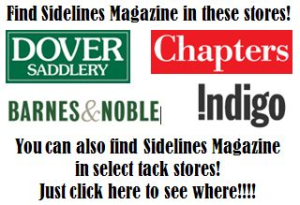 Sidelines is also sold in all Dover Tack Stores, independent tack stores and at Barnes and Noble.